Brian Keene, master of modern horror, and best-selling author, Dan Padavona, are coming to the Boston area on October 22, 2016. 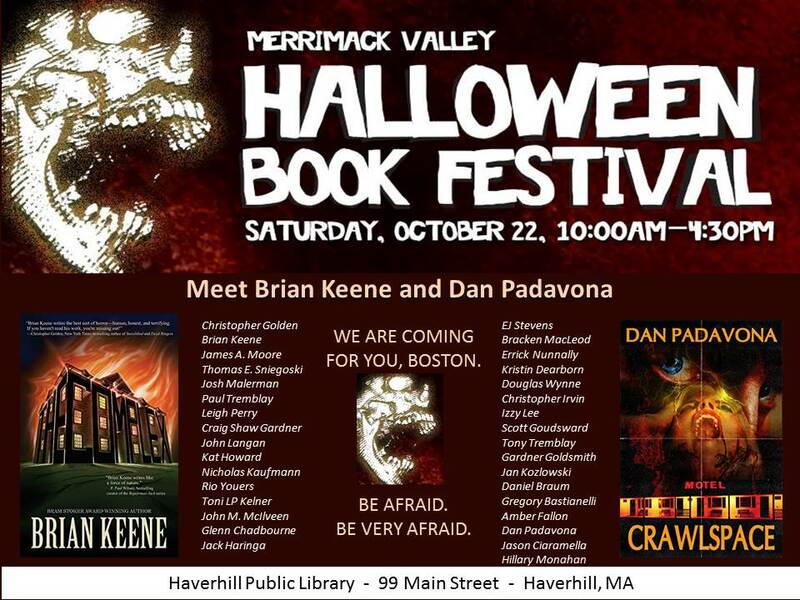 Keene and Padavona will greet fans, sign autographs, and offer great deals on their print novels at the Merrimack Valley Halloween Book Festival in Haverhill, Massachusetts. A who’s-who of horror novelists, actors, and filmmakers from New England and the northeast will be on hand for this event. Round table discussions on the art of horror, book sales, and live readings are just part of the fun scheduled for the public. The Haverhill Public Library is located at 99 Main Street in Haverhill, MA. The event runs from 10 AM until 4:30 PM. Admission is FREE.